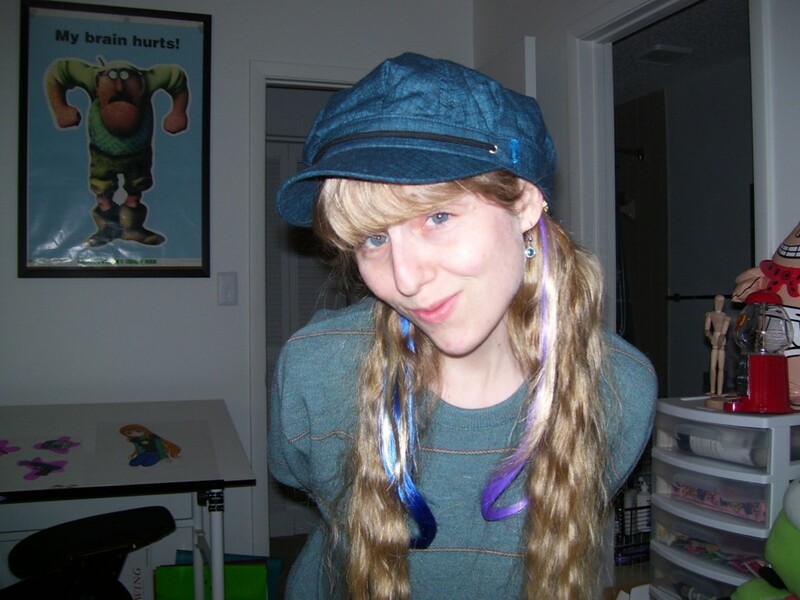 Here are some of my favorite photos of 2009! (Some are redundant from other pages, and others appear here only.) These are displayed with the newest on top. sated.jpg: Mikey fed me breakfast on Christmas morning. This is me stuffed. 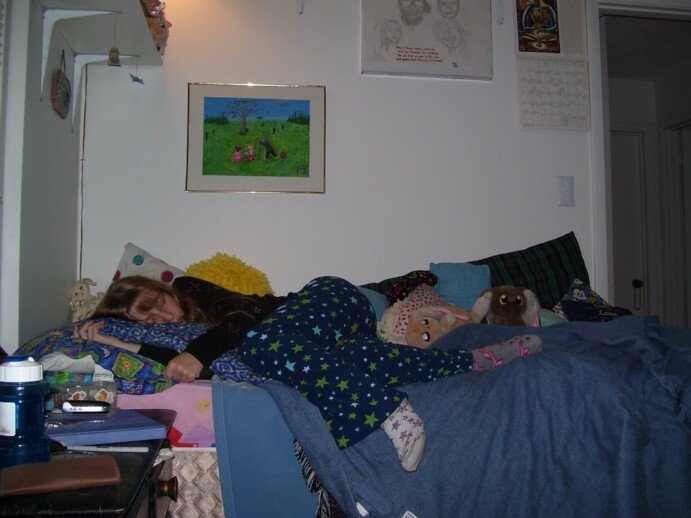 December 25, 2009.
starsleep.jpg: I was sleepy and decorated in stars. 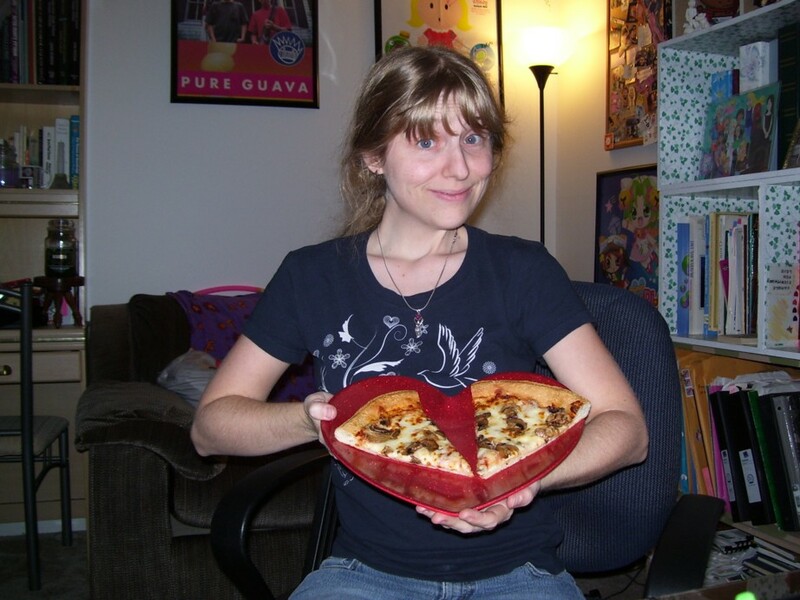 December 23, 2009.
victorypizza.jpg: I got my way in a legal spat, so I bought myself a pizza to celebrate. 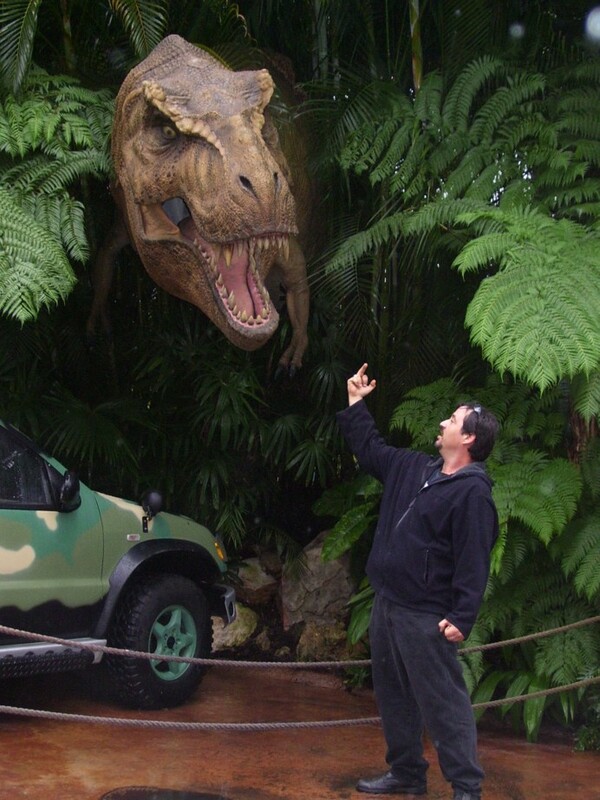 December 19, 2009.
universaljurassic2.jpg: Mikey and I went to Universal Studios, and he flipped off a dinosaur. 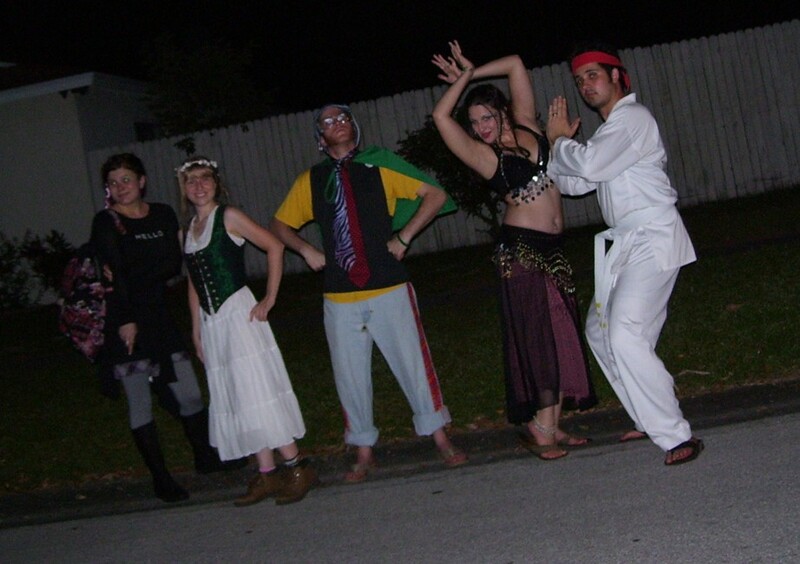 December 5, 2009.
allfivetrickortreat2.jpg: The small group that went trick-or-treating. 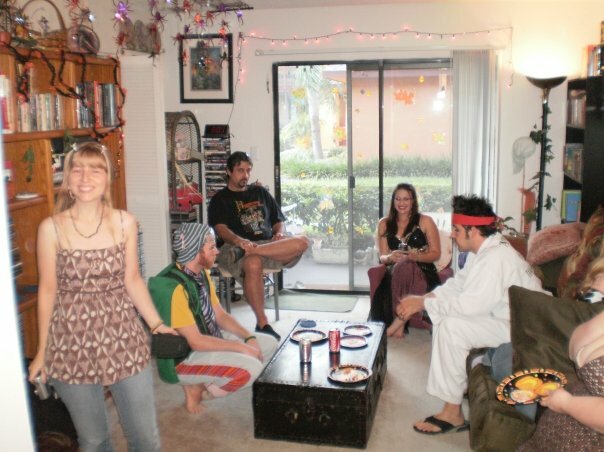 October 31, 2009.
appetizerkids.jpg: Eating appetizers at my Halloween party. 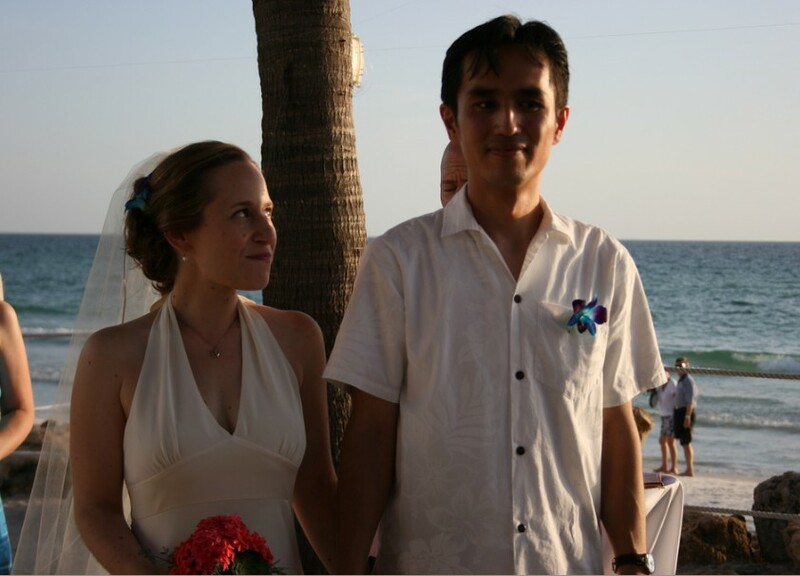 October 31, 2009.
stevenjessforeheads.jpg: Steve and Jessica got married. This is my favorite picture from their wedding. October 25, 2009.
freestuffpile.jpg: At Avi's potluck, this was the pile of free stuff he wanted to give away. I climbed in the pile to see if anyone would take me home. 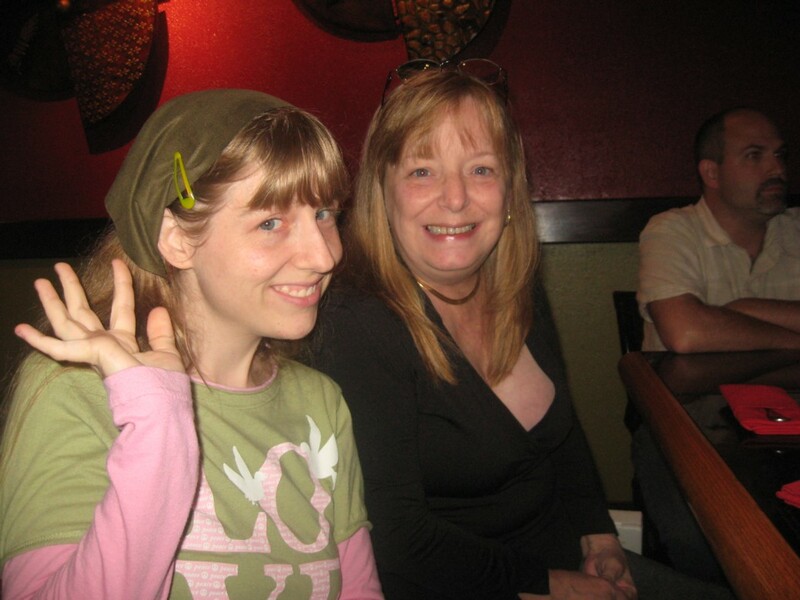 September 19, 2009.
mom's55.jpg: My mommy's 55th birthday at the Japanese restaurant!. 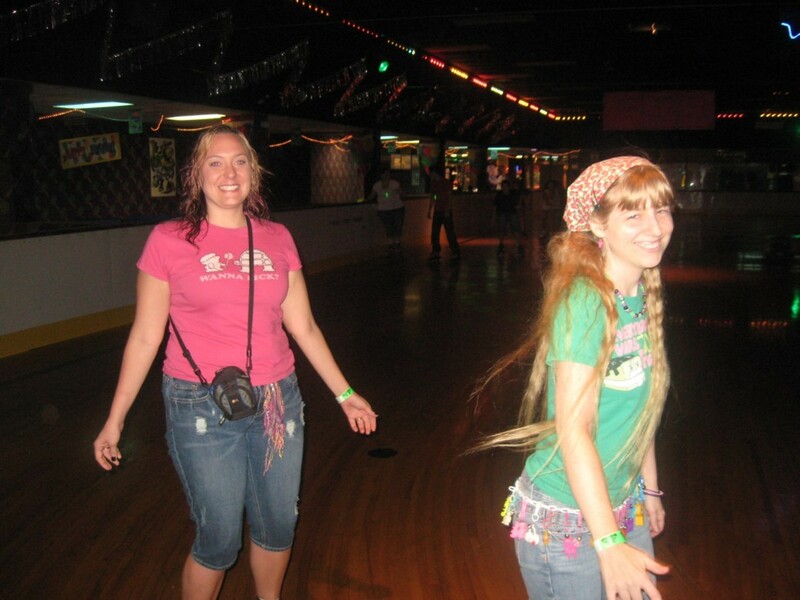 September 12, 2009.
heatherivyskate.jpg: Heather and I went to 80s night at the skating rink! 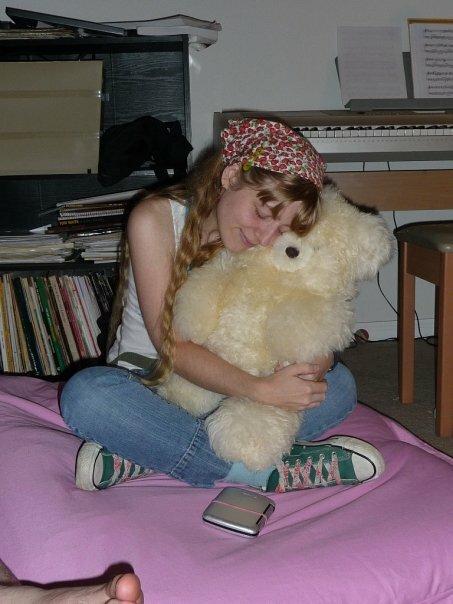 September 9, 2009.
ivylovesbear.jpg: There was this cute teddy at Kim's house! I hugged it. 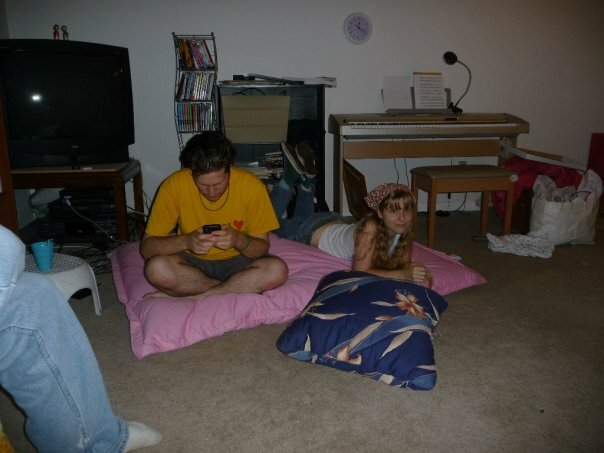 August 29, 2009.
aviivybeanbag.jpg: Avi and I were on a giant beanbag! He is doing something geeky with his electronic device. 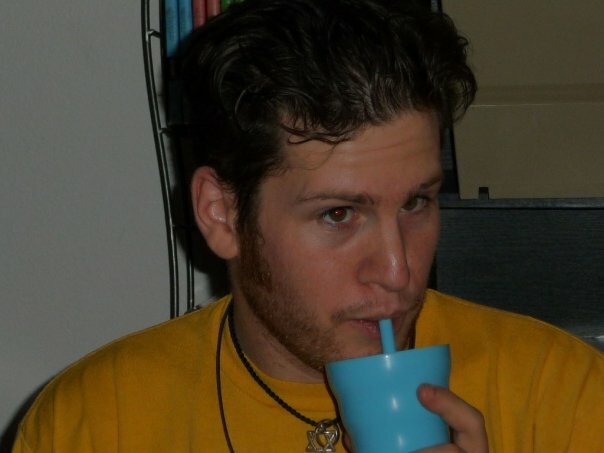 August 29, 2009.
ericbeersippycup2.jpg: My friend Eric drinking beer out of a sippy cup. 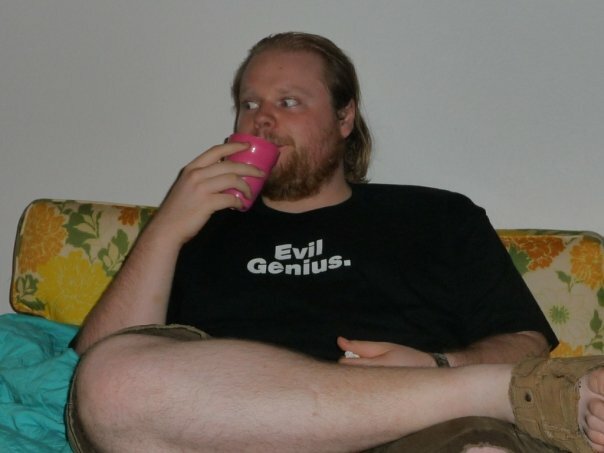 August 29, 2009.
avibeersippycup.jpg: Avi is also partaking in the beer sippy cup nonsense. August 29, 2009.
aviengineers1.jpg: Avi and me at Kaite's going-away party. 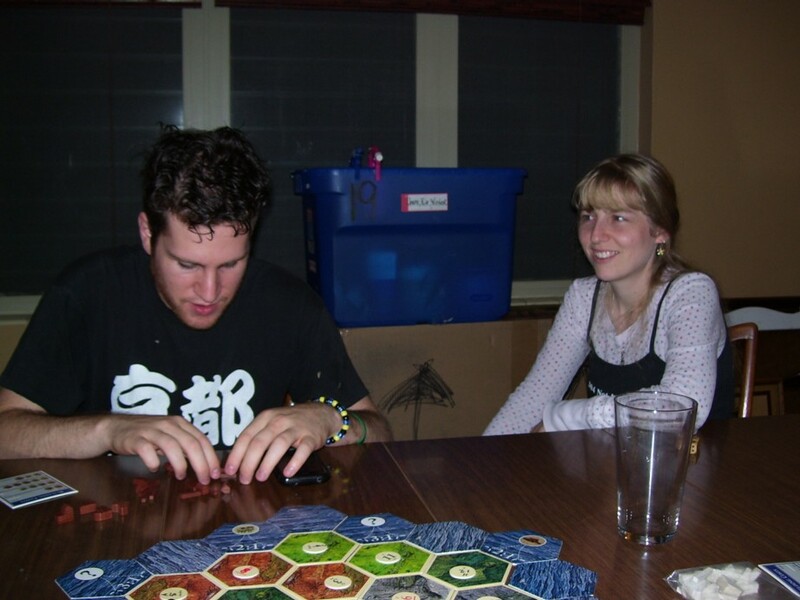 He was building something genius-like out of game pieces. 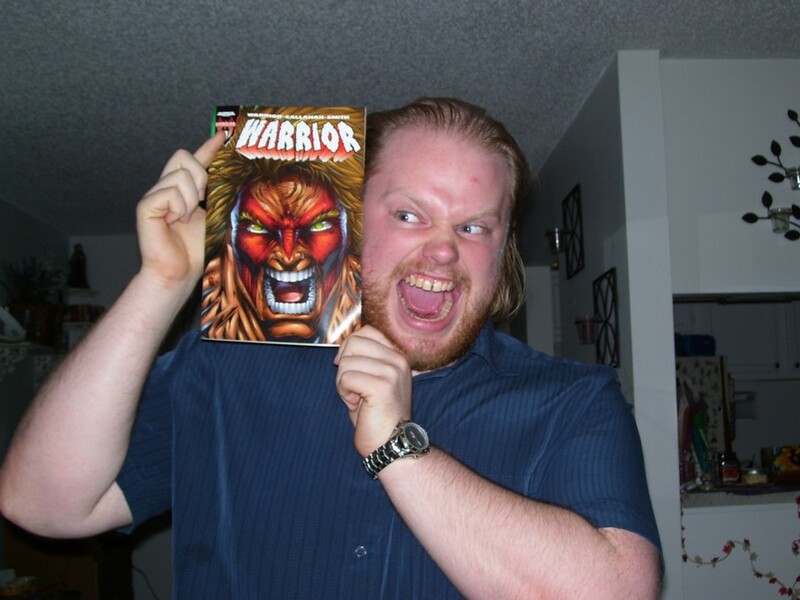 August 21, 2009.
ericthewarrior.jpg: My friend Eric posing with the Warrior comic (which is hellacious). 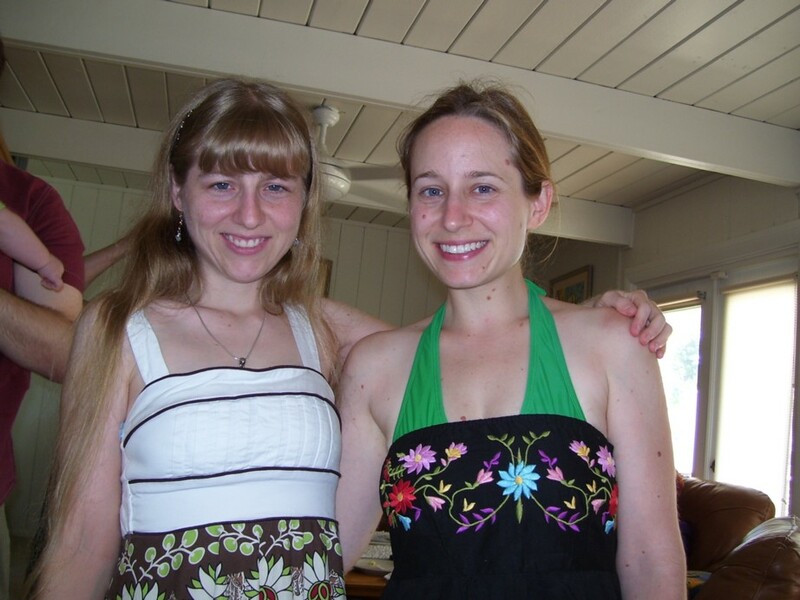 August 21, 2009.
marriedsister.jpg: Me with my sis at her morning-after-the-wedding brunch. 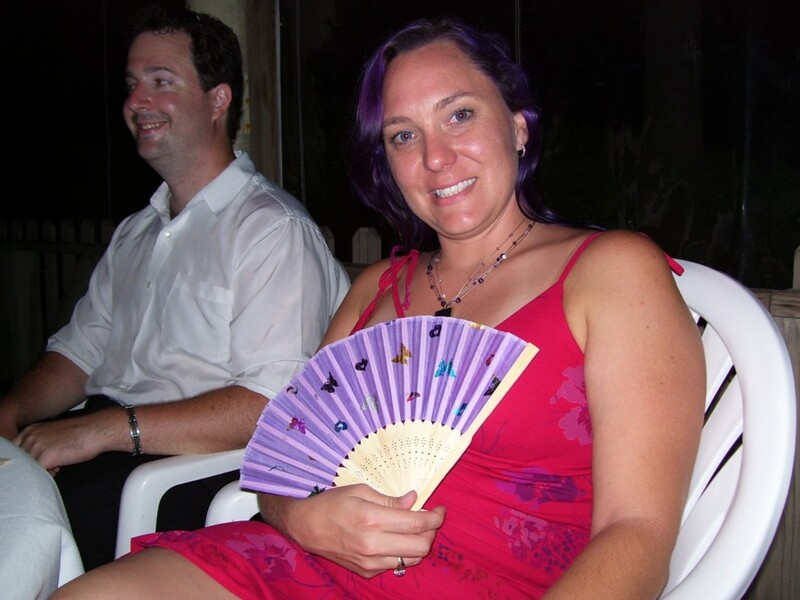 August 2, 2009.
heathersfan.jpg: Heather with her fan at my sister Patricia's wedding. 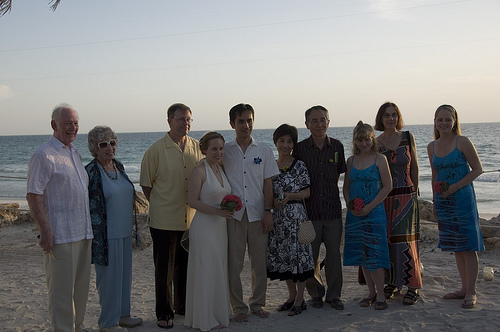 August 1, 2009.
bigfamily.jpg: Our family posing for a picture on the beach at my sister's wedding. 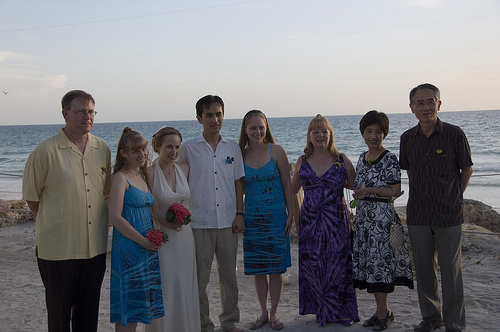 August 1, 2009.
bigfamily2.jpg: Family time at the wedding. 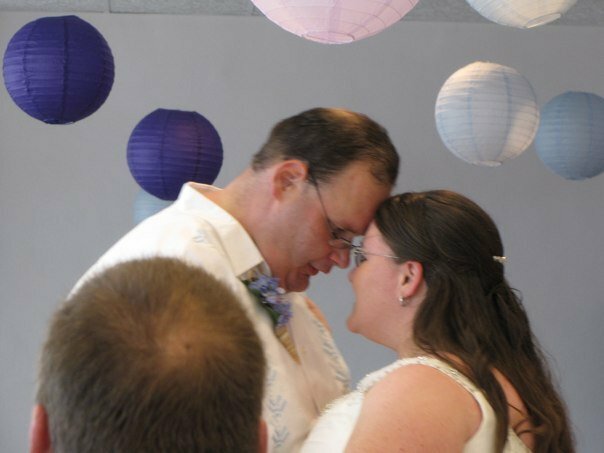 August 1, 2009.
funnylook.jpg: My sister giving her new husband a funny look. 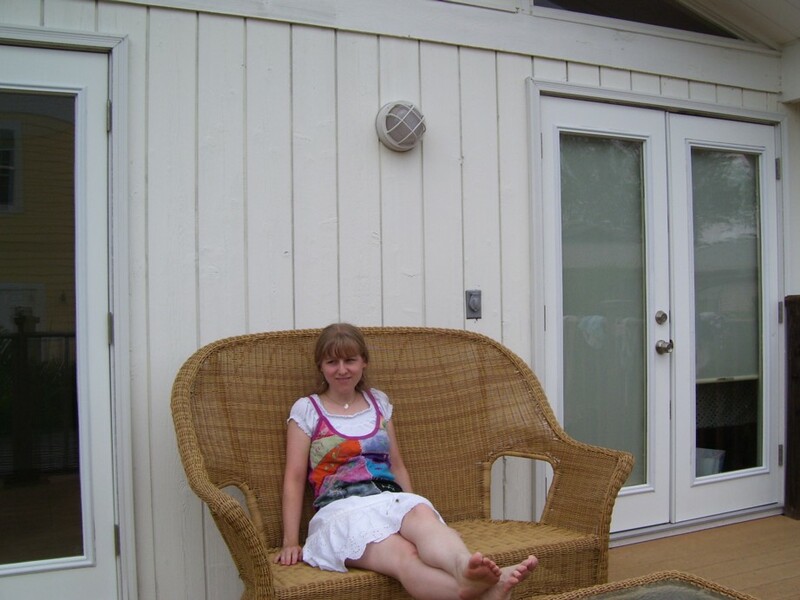 August 1, 2009.
beachhouseporch3.jpg: Me relaxing on the porch of the beach house my sister rented for her wedding. 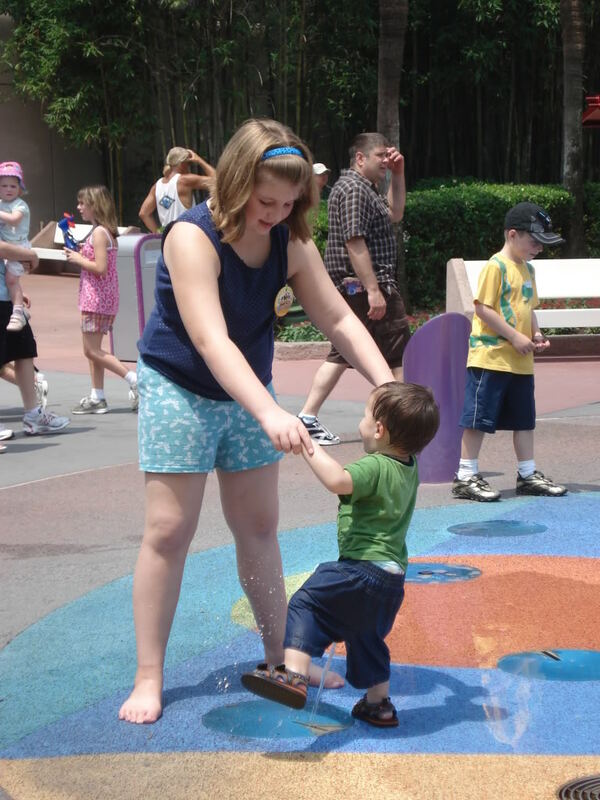 July 31, 2009.
disneykatieandbenwater.jpg: Katelyn and Benjamin got to frolic in some water jets at Disney World. 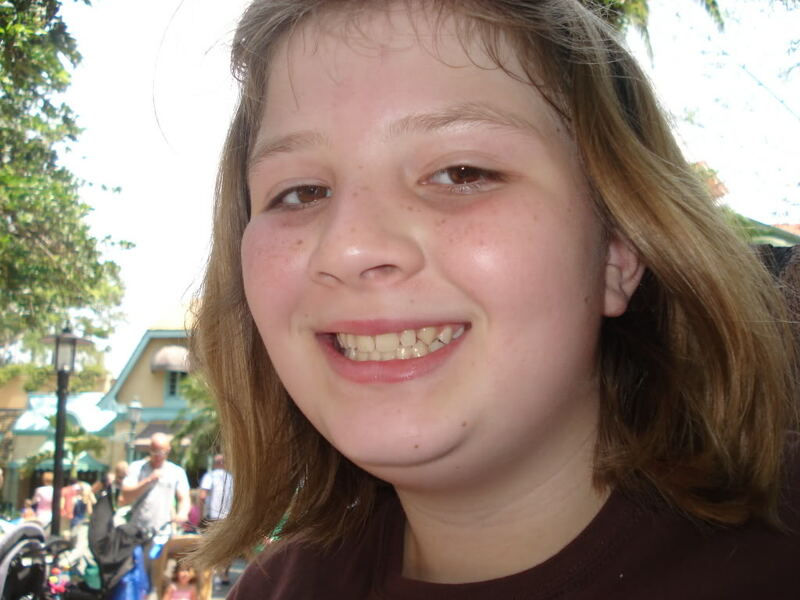 June, 2009.
disneykatiesmile.jpg: Katelyn's got such a pretty smile. 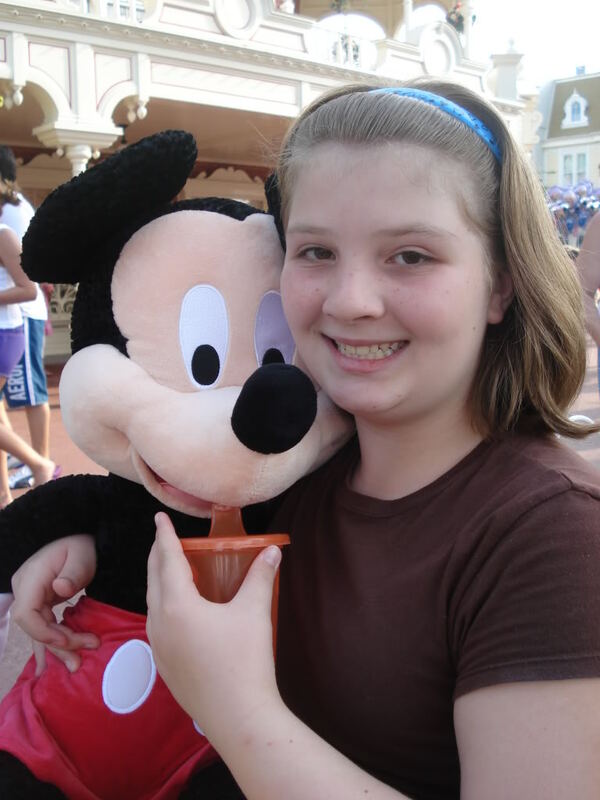 June, 2009.
disneykatiemouse.jpg: Katelyn appears to be letting the Mickey plush have a drink. 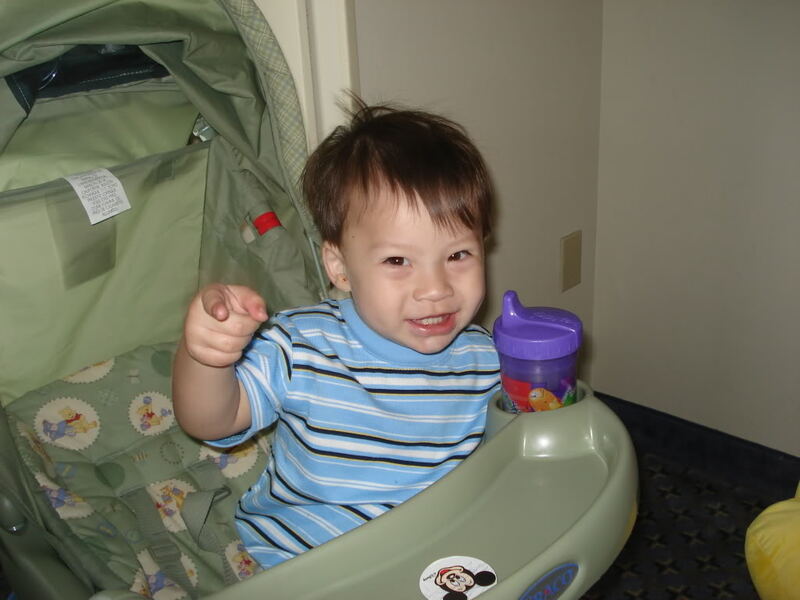 June, 2009.
disneybenrighton.jpg: Benjamin is making a very cute gesture here. 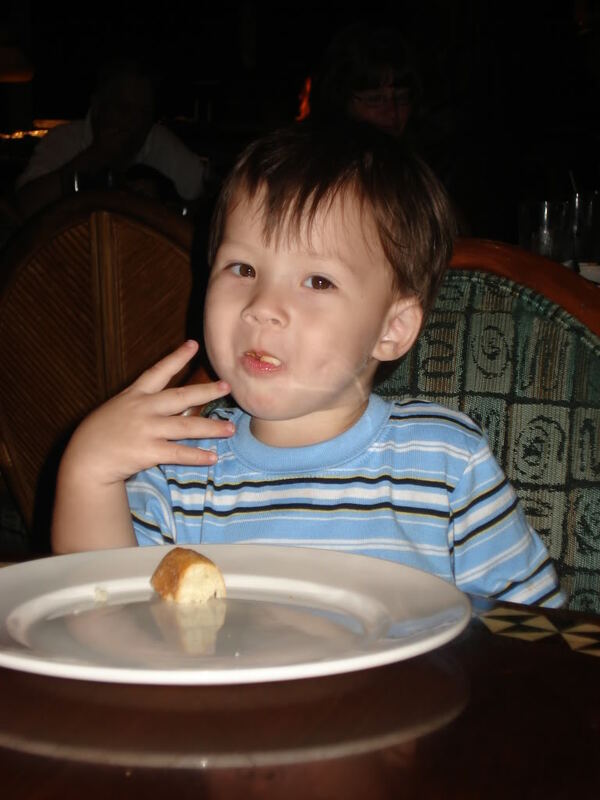 June, 2009.
disneybenchew.jpg: Oh Benjamin, I hope you're going to chew that bread! 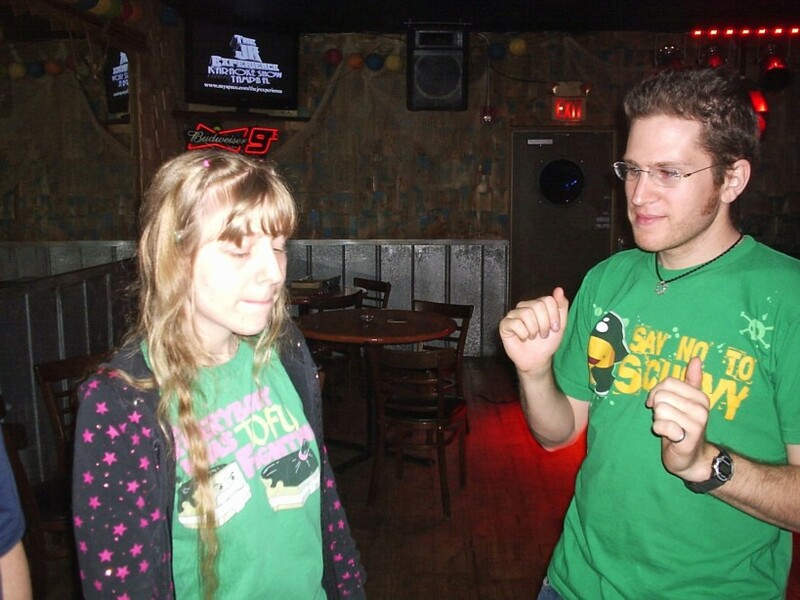 June, 2009.
karaoke9.jpg: Avi and me dancing at a karaoke bar. 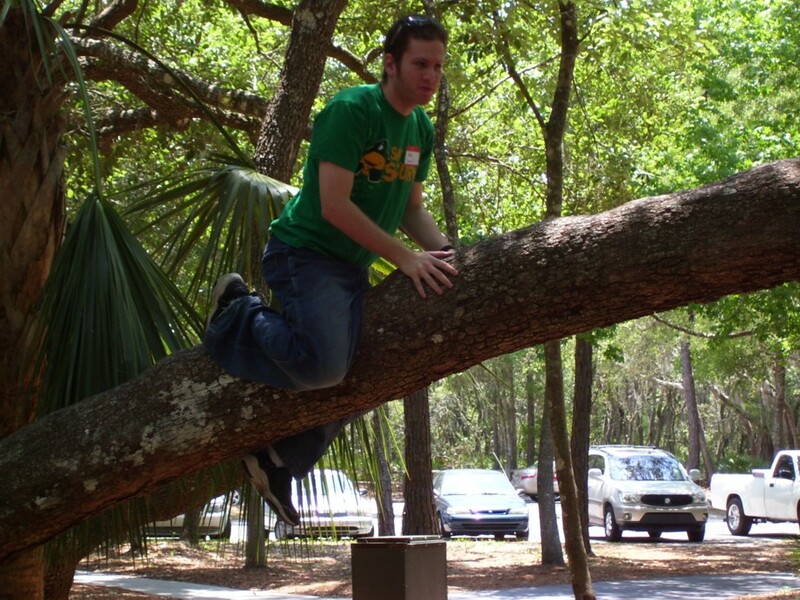 May 2, 2009.
treeclimb2.jpg: Avi climbing a tree at Lettuce Lake Park. 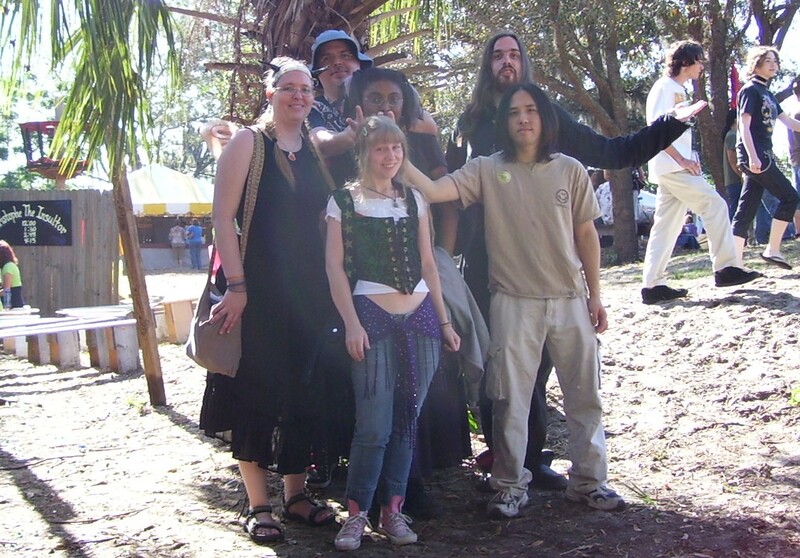 May 2, 2009.
rengroup2.jpg: There I am at the Ren Faire yet again, getting bunny ears with Jef, Anita, Kit, Michael, and Sho. 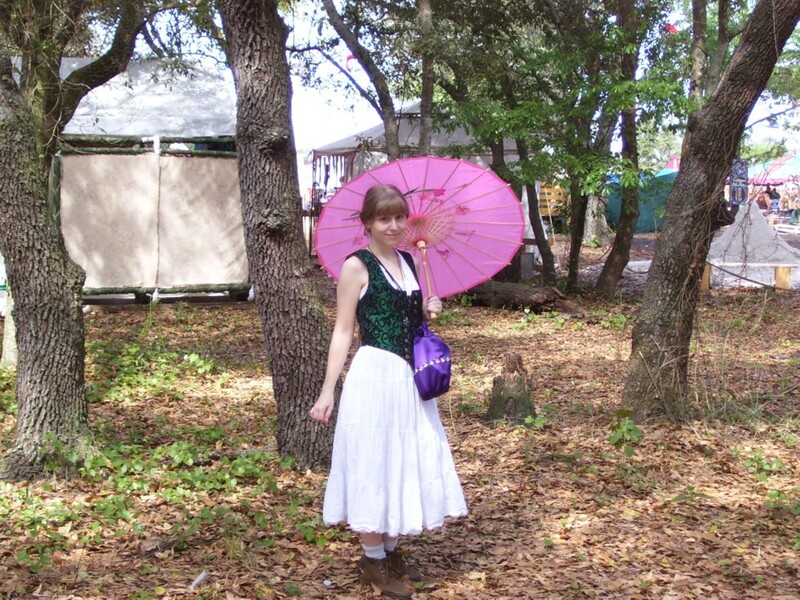 March 29, 2009.
parasolgal.jpg: There I am at the Ren Faire again, with my parasol, this time in Tampa. 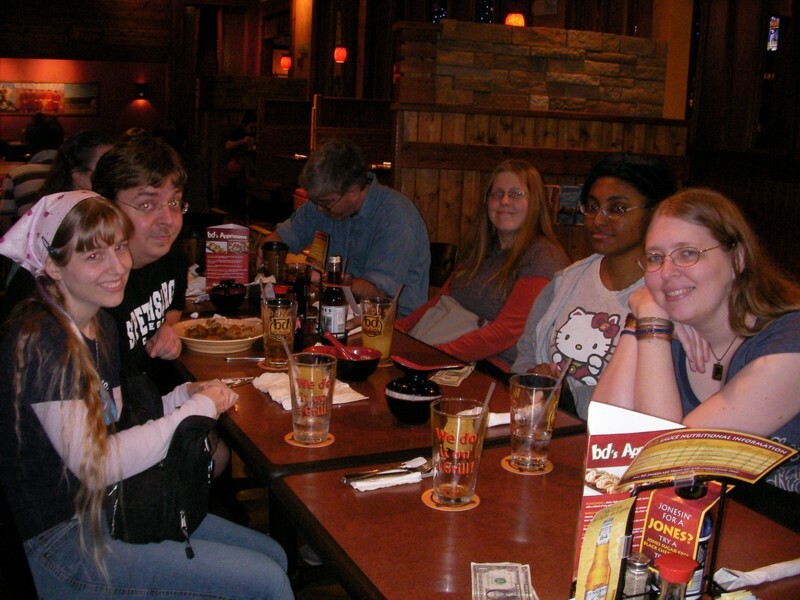 March 14, 2009.
mongolgroup09.jpg: This is my group of friends at the Mongolian Grill. (My sister P took it so she isn't in the photo.) 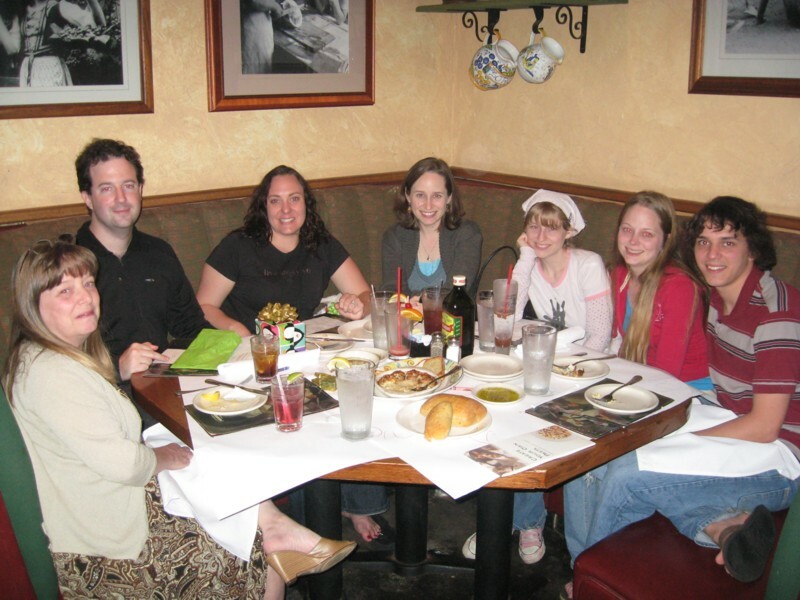 You can see me, Jef, Thea blocked by Jef's head, the top of Peck's head 'cause he's eating, Kari, Anita, and Kit. 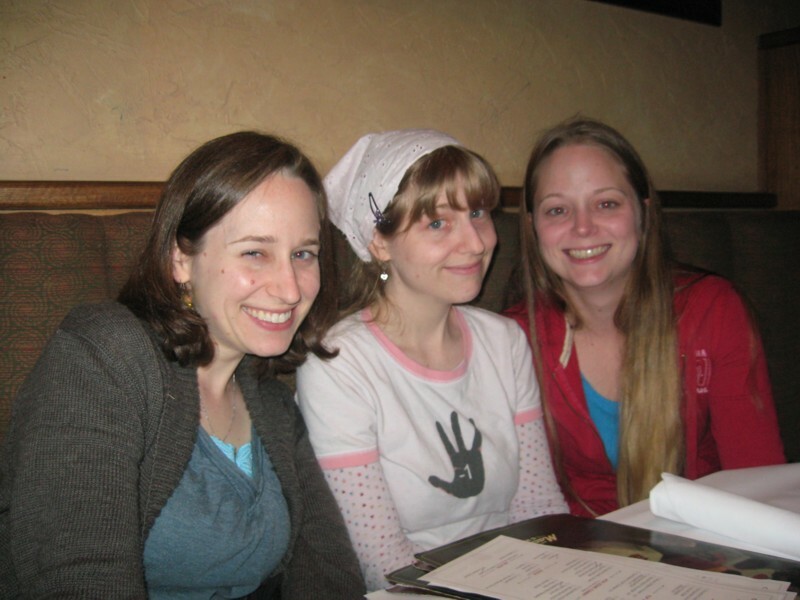 March 9, 2009.
somesisters.jpg: Here is me with my sisters at a party we had for my baby sis. March 7, 2009.
redeyebirthday.jpg: This is the whole party group who gathered for L's party. Why do we all have red-eye? 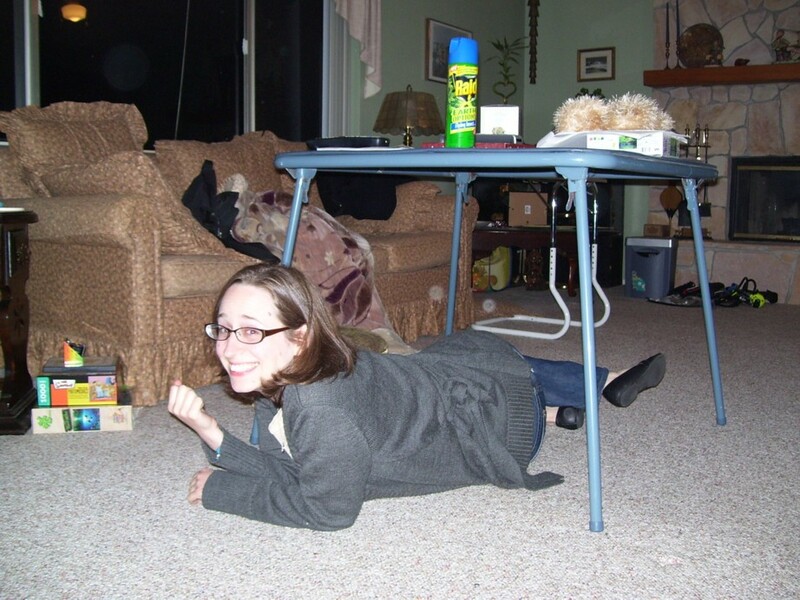 March 7, 2009.
pundertable.jpg: My sister P underneath my mom's card table for some reason. 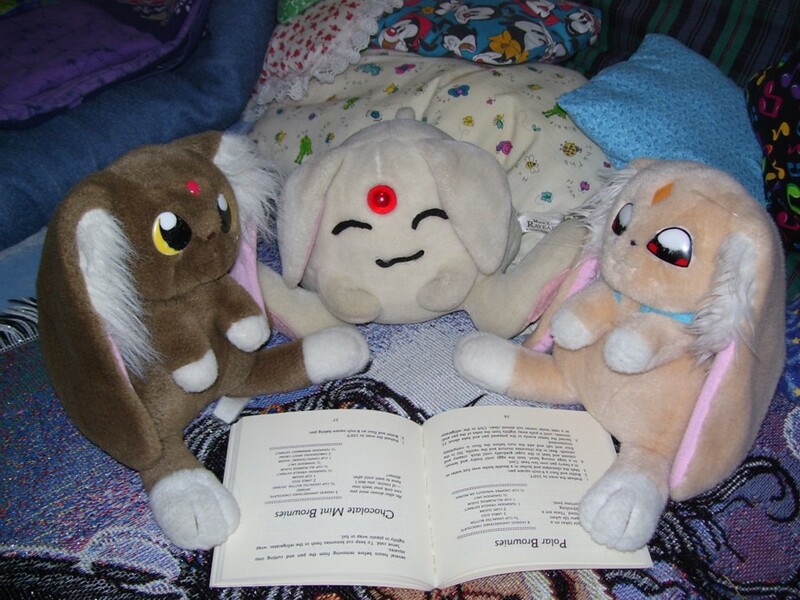 March 4, 2009.
animalsreading.jpg: Sister P was visiting, and before she left (while I was at work), she put some of my stuffed animals in a little group here reading a baking cookbook. I thought it was cute so I photographed it. 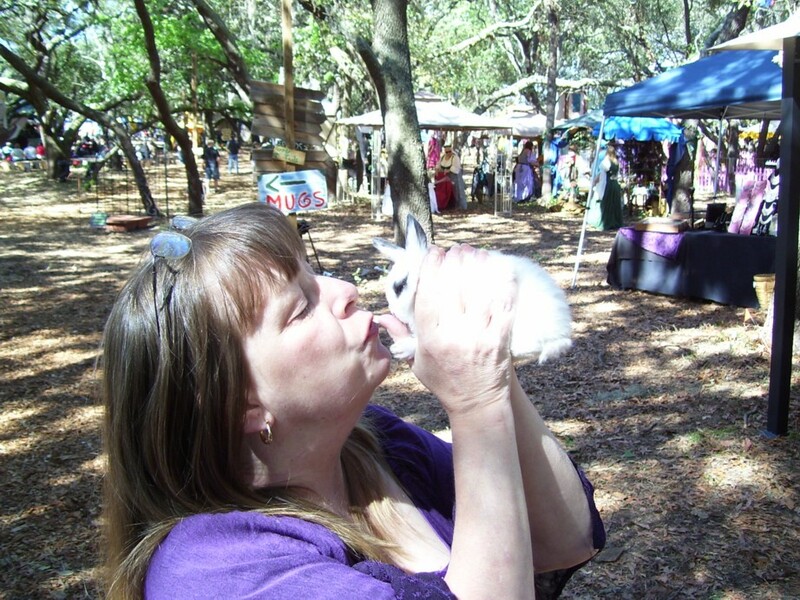 March 4, 2009.
mombunny.jpg: My little mom got to cuddle a bunny at the Ren Faire. 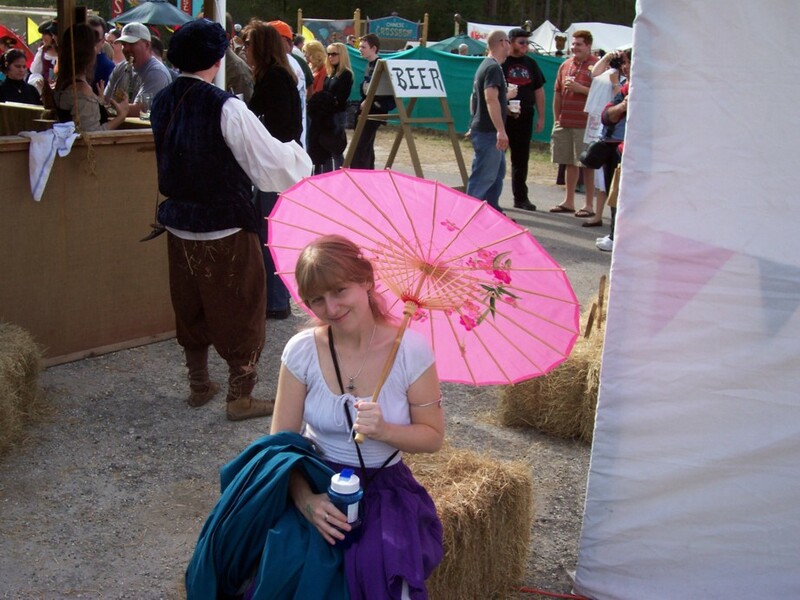 February 21, 2009.
lilparasol.jpg: Me with the new parasol Mikey bought me, trying not to look like I'm sick. January 24, 2009.
damsel.jpg: A damsel in distress! 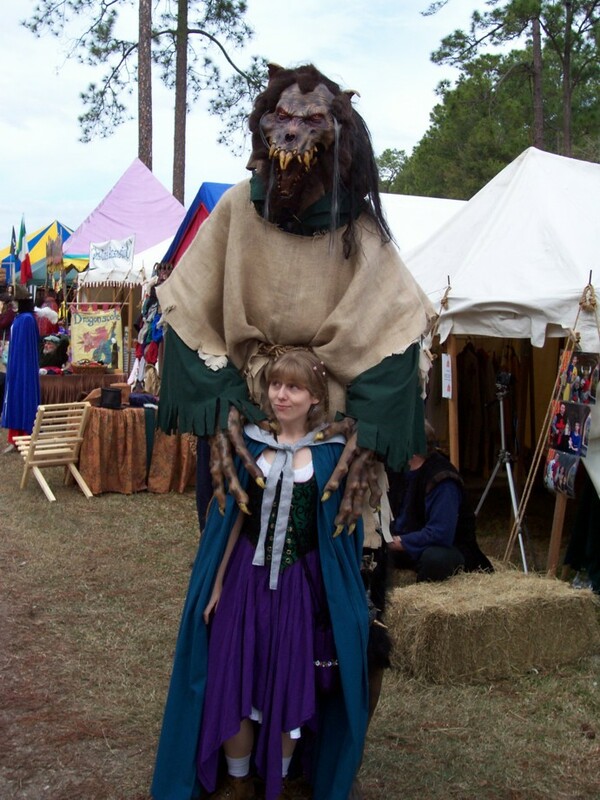 I was posing with a monster at the RenFaire. 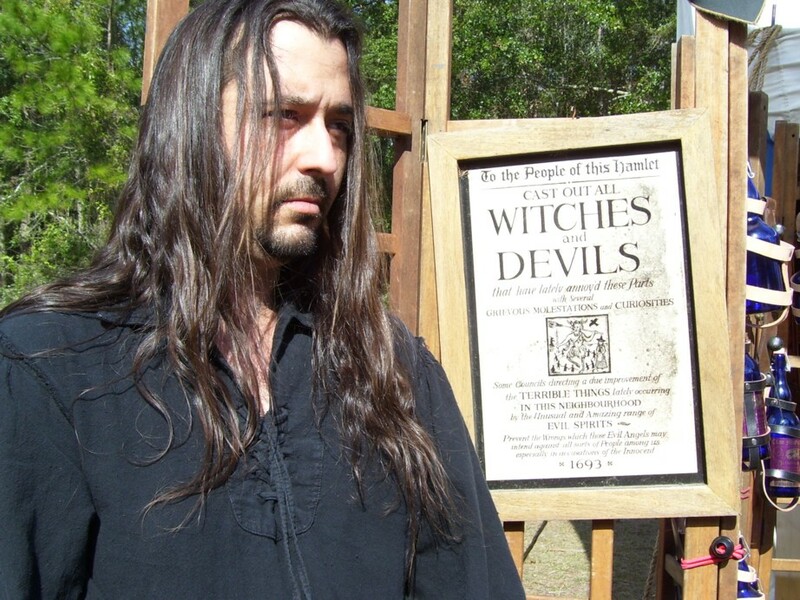 January 24, 2009.
witchesanddevils.jpg: Mikey. By a funny sign at the Ren Faire. 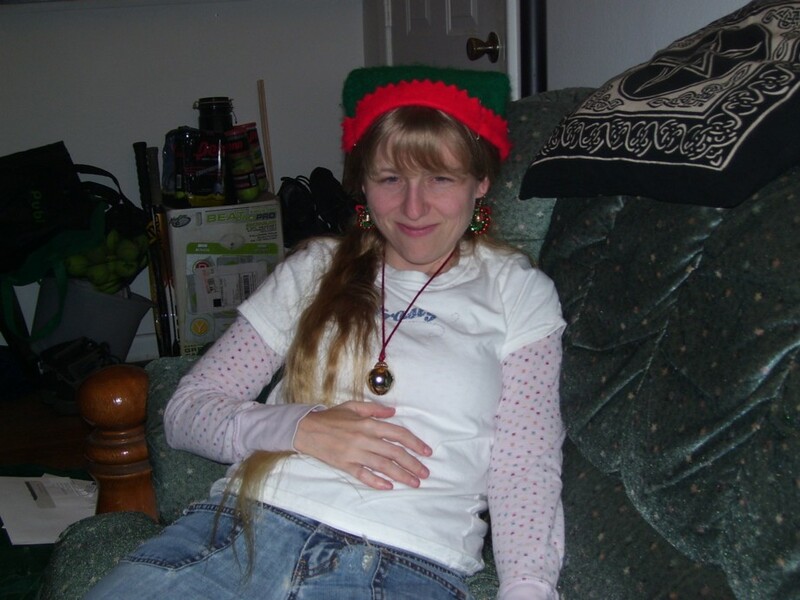 January 24, 2009.
thenewhat.jpg: I received a hemp hat from Fred for my birthday. 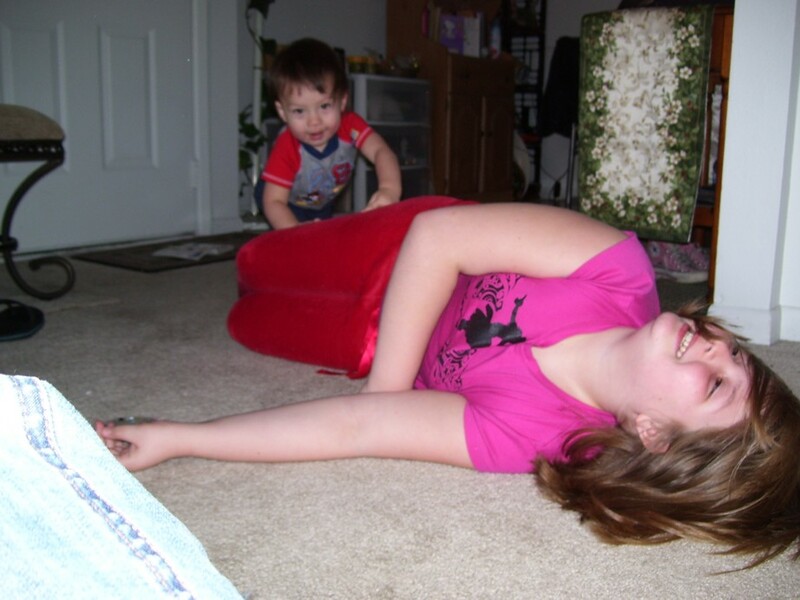 January 21, 2009.
wrestlers2.jpg: Benny and Katie were wrestling on my living room floor. It was so cute! 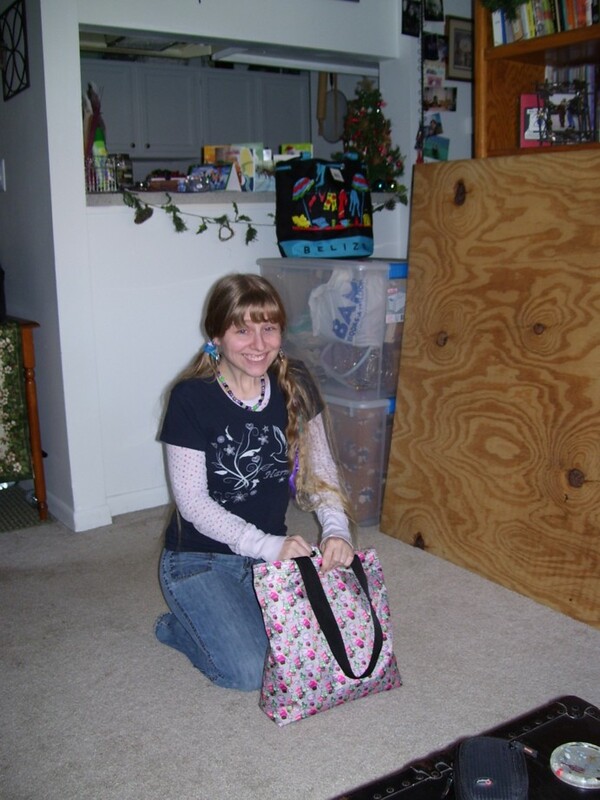 January 17, 2009.
birthdaybag.jpg: I received a cool Invader Zim bag as part of my birthday present. 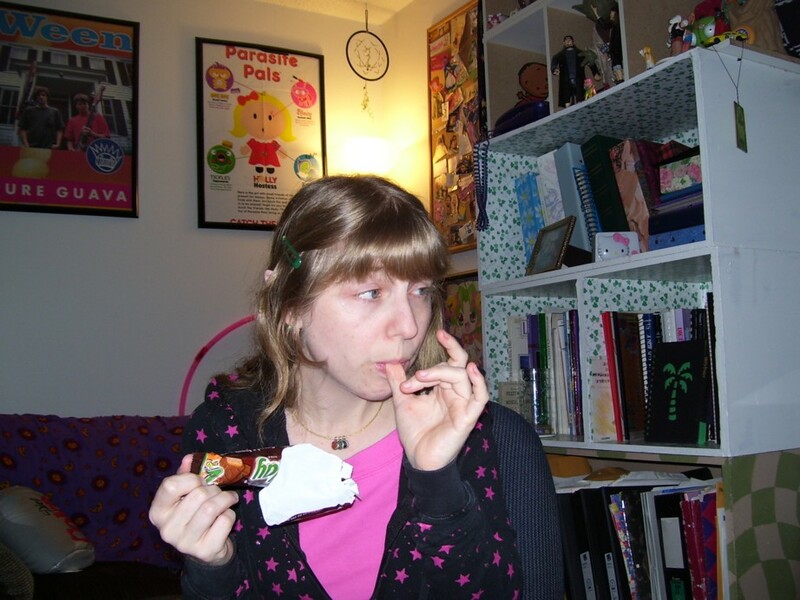 This was taken on my birthday, January 17, 2009, when I turned 31.
milkyway4.jpg: I have just finished eating a candy bar. A very BIG candy bar. 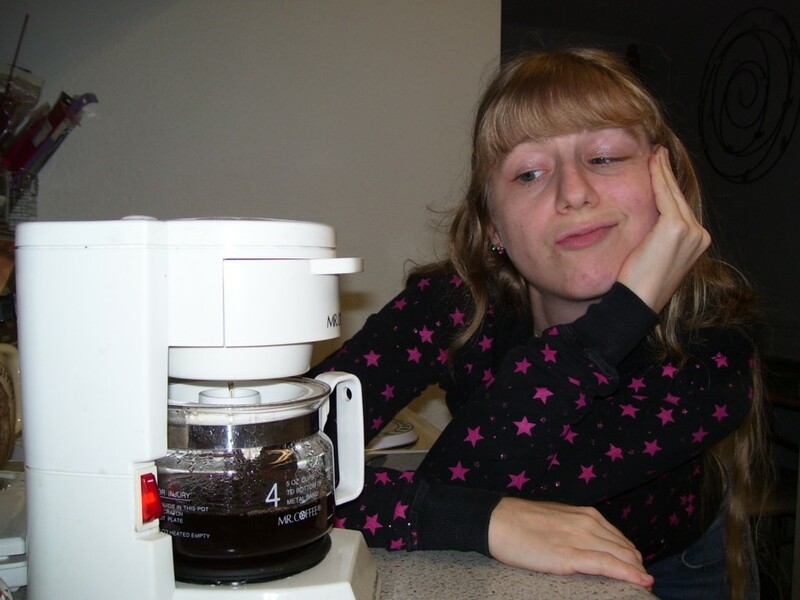 January 10, 2009.
coffee2.jpg: Waiting impatiently for coffee to brew. 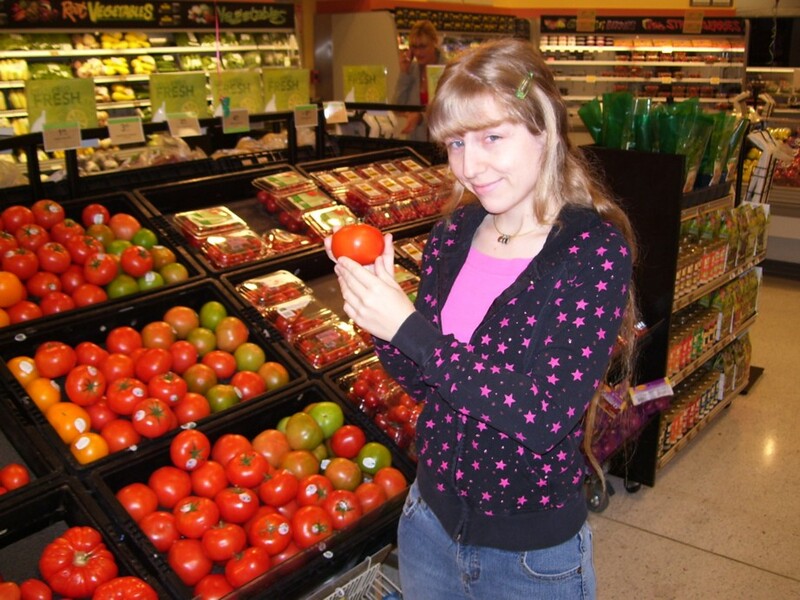 January 10, 2009.
to-ma-to.jpg: For some reason the tomatoes looked visually appealing to me in the grocery store, so I asked Mikey to take my picture. 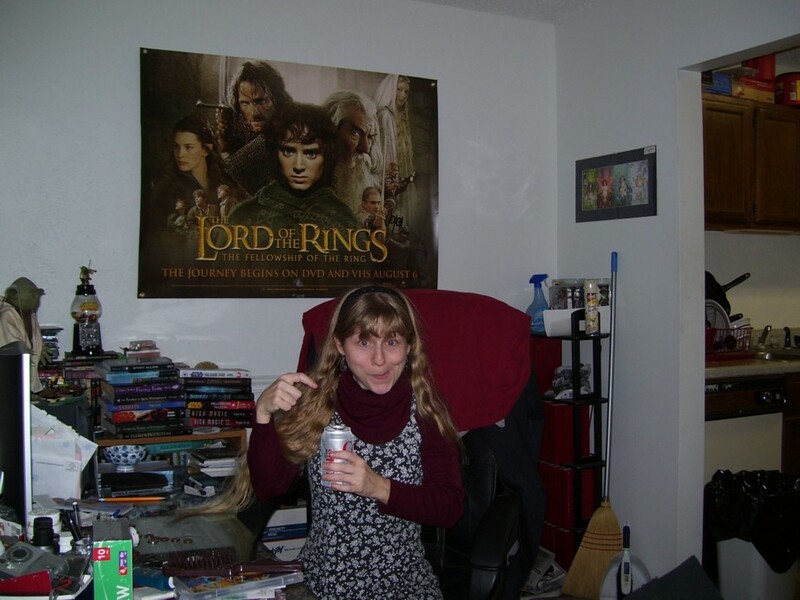 January 10, 2009.
inuraptstealinurdietcoke2.jpg: I had to hide at Mikey's house because people were painting in my kitchen. 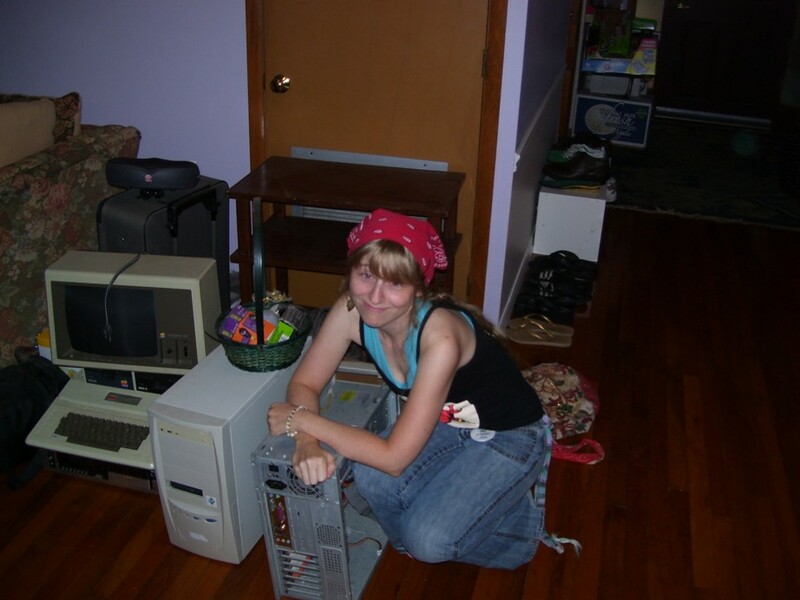 This is me when I went to his place before he got home from work, got on his computer, and drank his Diet Coke. (Yes, this was okay with him.) January 5, 2009.